Color: Red, Blue, Yellow, Black etc. Our clients can avail from us a wide range of Wood Ink that is widely used on wooden surfaces and can be provided with date and numbers. Further, these are quality tested on well-defined quality parameters before supplying it to our clients. AQUANON WATER BASED FLEXO INK SPECIALLY DEVELOPED FOR PRINTING NONWOVEN FABRIC. IT HAS GOOD COLOUR STRENGTH , OPACITY AND WATER RESISTENCE PROPERTY. NON NEED TO USE HAZARDOUS SOLVENT . 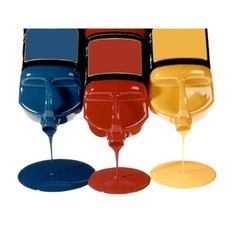 We are engaged in manufacturing of Water Based Flexographic Inks. Available in wide range of color and clear medium for paper. - Water based flexo inks are used for wide variety of application. In order to cater the variegated requirements of our esteemed clients, we are engaged in manufacturing, exporting and supplying an excellent quality array of Water Based Ink. - Used for card board printing. 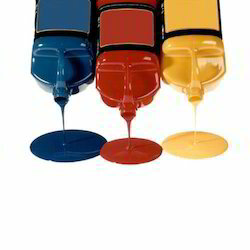 We are top notch company engaged in manufacturing and exporting aqua flex water based ink. Using innovative technology developed by us, we formulate the inks with excellent performance which give maximum output to our clients. Aqua flex water based inks are available in attractive shades as per the customer colourway. Our assortment is highly effective and is used for various papers and boards. KITL has developed chemistry based on water based reactive inks for roll to roll digital textile printing. Also available are the water based black pigmented inks for CTS (Computer to Screen) application.